Do you need help wrapping your head around the Ultra Low Emission Zone and what it means for you and your business and freight? Don’t worry, we have the answers you need. 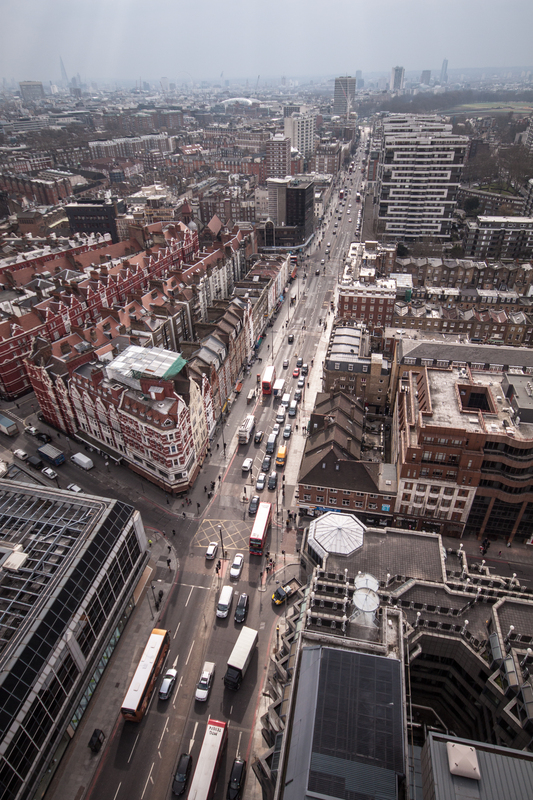 The Mayor of London announced this week he will be introducing tighter vehicle emission standards for vehicles entering the Congestion Charging Zone from April next year. Ultra Low Emission Zone (ULEZ) will replace the current T Charge (Emissions Surcharge), but will operate 24 hours a day, every day of the year rather than Monday to Friday during the day as is currently the case. The standards are higher than for the existing Low Emission Zone so even if vehicles are currently compliant, they might still attract the daily ULEZ charge of £12.50 for motorbikes, cars and smaller delivery vehicles and £100 for lorries and specialist heavy vehicles over 3.5T. Check here to see if your vehicle meets the ULEZ standard and will be able to travel in the zone without paying the ULEZ charge. Residents who are registered for the residents’ Congestion Charge discount will get a 100% ULEZ discount until 24 October 2021 to give them more time to change their vehicle to meet the ULEZ standards. Residents will continue to pay the T-Charge, at a discounted rate of 90%, during this ULEZ resident sunset period. 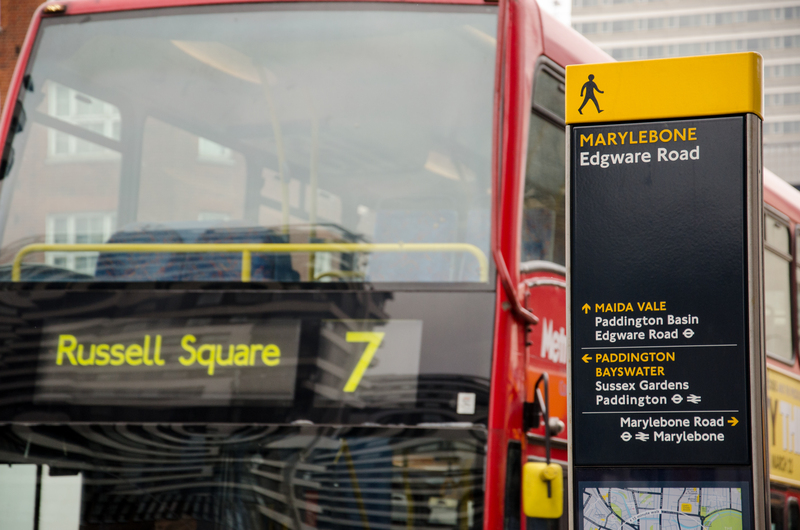 From October 2020, the most heavy-polluting vehicles including buses, coaches, lorries and other specialist vehicles will need to meet stronger emission standards throughout the whole of London. 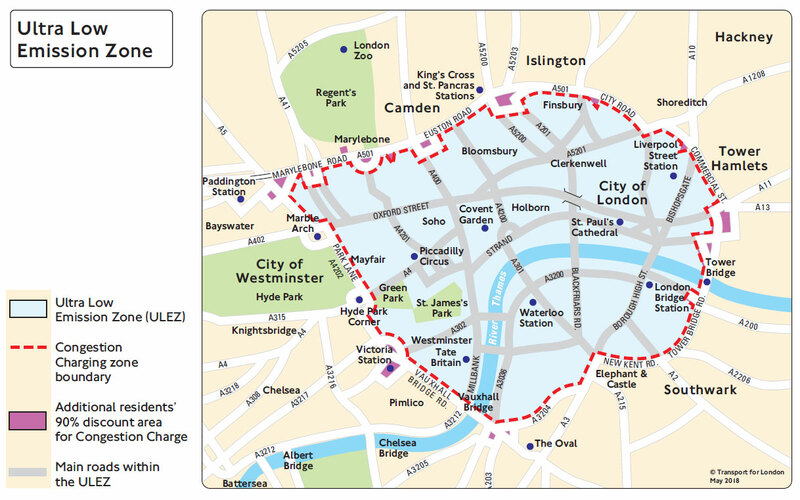 From October 2021, the ULEZ will be extended to include all of London within the area bounded by the North and South Circular roads and this will also apply to all vehicles. Click here for further details. What does this mean for deliveries to and from your business? Marble Arch London BID can help you look at your deliveries and assess how you can reduce them, save money and reduce the impact of the charges associated with the ULEZ . Visit http://marble-arch.london/enhancing-the-environment/ and click the Deliver Best link to use a free diagnostic tool. We will also work to arrange free consultancy advice for you. An additional option is to sign up to the West End Buyers Club where featured suppliers have gone through a rigorous procurement process to provide goods and services at low prices and delivered in ways that minimise the impact of vehicle emissions on air quality.